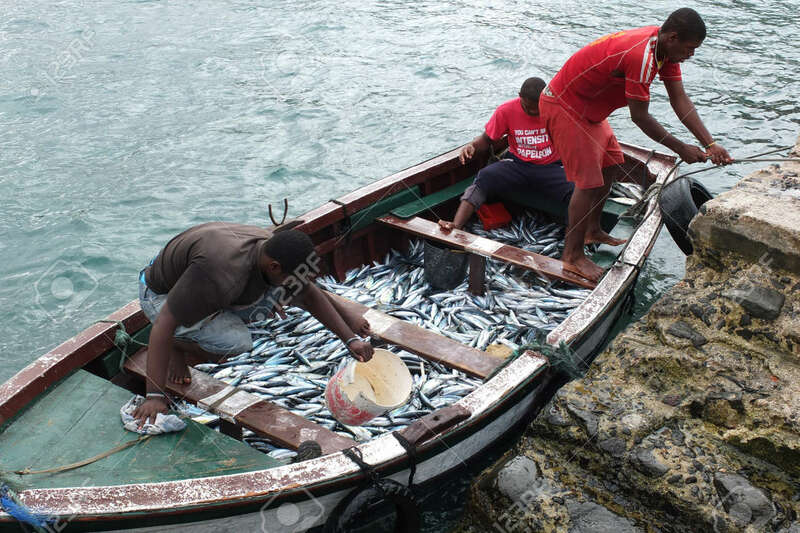 Tarrafal, Cape Verde - November 29, 2012: Some African Fishermen.. Stock Photo, Picture And Royalty Free Image. Image 16979322. Stock Photo - Tarrafal, Cape Verde - November 29, 2012: Some African fishermen are coming back to the village. Tarrafal, Cape Verde - November 29, 2012: Some African fishermen are coming back to the village.